The Journal welcomes original research, literature reviews, exemplars/practice stories/case studies, audits and research methodology articles that fit with the Philosophy of the Journal. It is important that articles submitted for review have not been published previously in any form and are not under consideration for publication elsewhere. For full details about submitting a paper, please see the Contributor Guidelines. 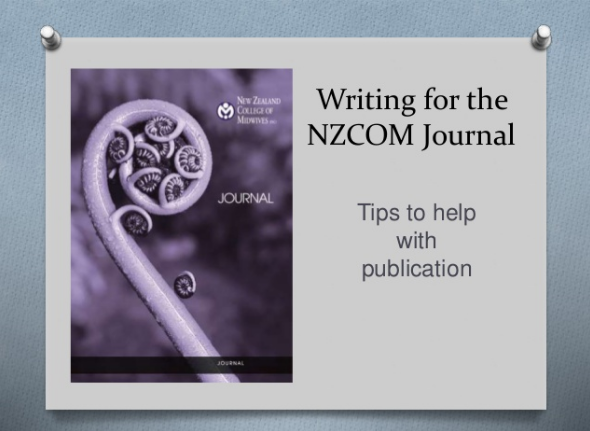 Authors are requested to complete the Author Cover Sheet and email it with their paper to Co-editor, Lesley Dixon, practice@nzcom.org.nz. The subject box of the email should read “Journal paper submission”. The receipt of each submission will be confirmed but if you do not receive a response within five days, please email the Co-editor, or phone her on 03 377 2732 to discuss your submission. All articles are sent for external review by two reviewers who have expertise relevant to the article content. The editor/sub-editor collates the feedback from the reviewers and communicates with the author regarding the recommended changes. It is usual to receive feedback when submitting any article for publication and the role of the editor/sub-editor is to work with authors to finalise articles for publication. Our goal is to encourage new authors with this editorial process. To download the flowchart outlining the article submission process, click here. To download the flowchart outlining the in-house process once the article has been accepted for publication, click here.